A standard sheet of hex graph paper, 30 hexes wide and 40 hexes long, covers an area 1,200 hexes total. When creating the recommended two maps, one sheet of hex paper should be used with 24-mile hexes for the campaign map, while a second sheet should be used with 6-mile hexes for the regional map. This sounds good, and 6 miles is a good scale for regional maps, but 30 by 40 doesn’t “zoom” well. That is, a small section of the 24 mile scale map can’t be conveniently represented by another 30 x 40 map at the 6 mile scale. The confusion is compounded by the fact that Autarch makes example hex maps available at three different resolutions, and it is unclear how these fit with the guidelines in the book (other than to show the proper way of fitting four 6 mile hexes into one 24 mile hex). Also, the example map dimensions are not 30 by 40. I would suggest using 32 by 32 rather than 30 by 40, as that has a number of pleasant mathematical properties (this should not be surprising, as all of the numbers turn into powers of 2). A 32 by 32 hex map at the 24 mile scale divides evenly into 4 by 4 (16 total) sub-maps which can each be represented as a 32 by 32 hex map at the 6 mile scale. Thus, it is obvious how to create zoomed-in maps with added detail for any particular region. 30 by 40 yields 1200 hexes, while 32 by 32 yields 1024 hexes; the two are thus approximately the same area (certainly close enough for tabletop RPG purposes). I was going to wait and post my thoughts on the ACKS setting guidelines all at once, but I found that it was taking me a while, so I’m going to do it in parts instead so that I can maintain momentum. This entry was posted in Uncategorized and tagged ACKS on February 20, 2012 by Necropraxis. Thanks for posting this, it’s good to know – I’m not at the point where I’m building a large scale ACKS map, but I can see doing it in a few months, and I can see wanting to do a similar thing to maintain that sense of scale. Thanks for that link. The blank PDFs make a bit more sense now. They mirror common political organization: local, state, and federal. It’s unfortunate that the suggestions in the post don’t match the advice given in the book. 48 x 32 also works for zooming (both dimensions being divisible by four) though 32 x 32 still seems cleaner to me. 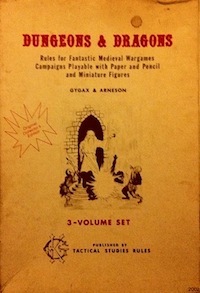 That blog post mentions the Judges Guild products; did they have a standard map size? I’m not very familiar with them. Another minor shortcoming of the three-level scheme proposed there is that the local map has a different number of hexes per page than the regional or continental sized maps, which means that the zooming is not quite as intuitive (at least, for me). If I was going to do a local-scale third level, I would probably zoom in on one of the regional maps in the same way (creating 1.5 mile hexes) or take the approach of Loviatar and go hex by hex for individual important hexes. I’m honestly not sure. The artist/cartographer has worked with the JG procedural generation stuff a lot, so I suspect that it influenced his choice of scales- but I’m just speculating. I’ll be interested to hear how your maps develop: When I last did some of this multi-level mapping, I went with a similarly geometric scaling, and the result ended up being slightly unwieldy at the “continental” scale (that is, the hexes represent more area than seems optimal).